2.2 × 3.1 cm. Saint Petersburg, The State Hermitage MuseumInv. No. Ж 314. 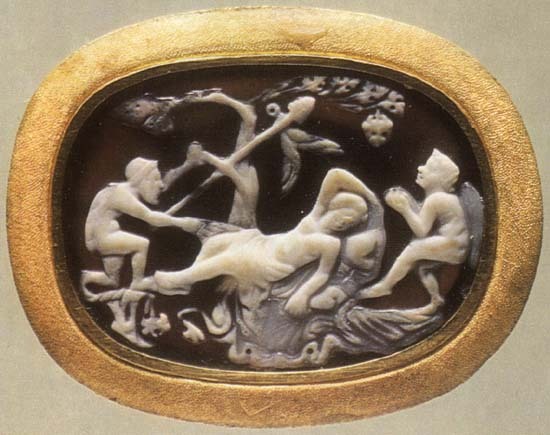 Sleeping maenad, satyr and Eros.